View Basket "WUSU no.2 – a DVD and CD pack" was successfully added to your basket. 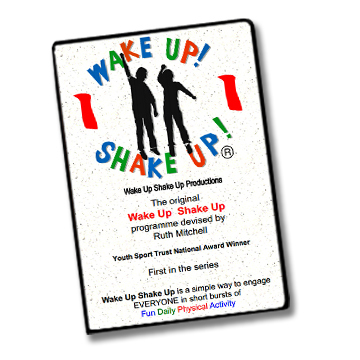 This is the first in the series of 4 progressive DVD packs to deliver the Wake Up Shake Up Programme, and we advise that you get started with this resource pack first. 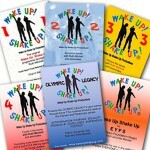 This pack contains an ACTIVITY DVD , a music CD plus and a sampler DVD showing clips from WUSU 1-4. DISCOUNTS may be available for bulk orders. Please contact us for details. 6 routines to popular songs (see below), including an example of a cool-down and simple stretching. 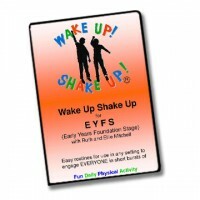 It also gives an explanation of the Wake Up Shake Up programme; how and when to use it and the reported impact..